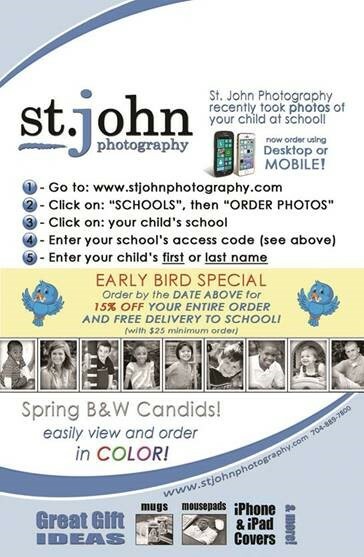 St. John's Photography is offering an early bird special on cap and gown group and individual pictures. The deadline to order is TODAY, May 18 for this special price. All orders placed by today qualify for a 15% discount on their entire order (minimum $25.00, required) as well as FREE delivery to school. Click here to view the flyer and important information regarding ordering your student's picture. Please note the school access code is LKCC. Junior Leadership Lake Norman is a program for high school juniors in the Lake Norman-area, sponsored by the Lake Norman Chamber of Commerce. The program was specifically created to inform, motivate and increase the overall awareness of participating high school students through educational seminars and interaction with various decision-makers of local businesses, government agencies and civic organizations. Selected students will learn about our community during this rewarding eight-month long program. The last day lunches will be served at the HS is Thursday, May 24.